I purchased one of these for my son in the car print and the anti-escape was truly fantastic. He was so comfortable in this compared to others we had in the family, that we decided to purchase a second one, one for each car!. He’s nearly 5 now and he’s using it without the harness, and with a seatbelt now and it’s still as fantastic as the day we bought it. All the covers are machine washable and it still is as bright as new! I had this with my first little boy, it was a perfect car seat once he could sit forward, great design, comfy and study. 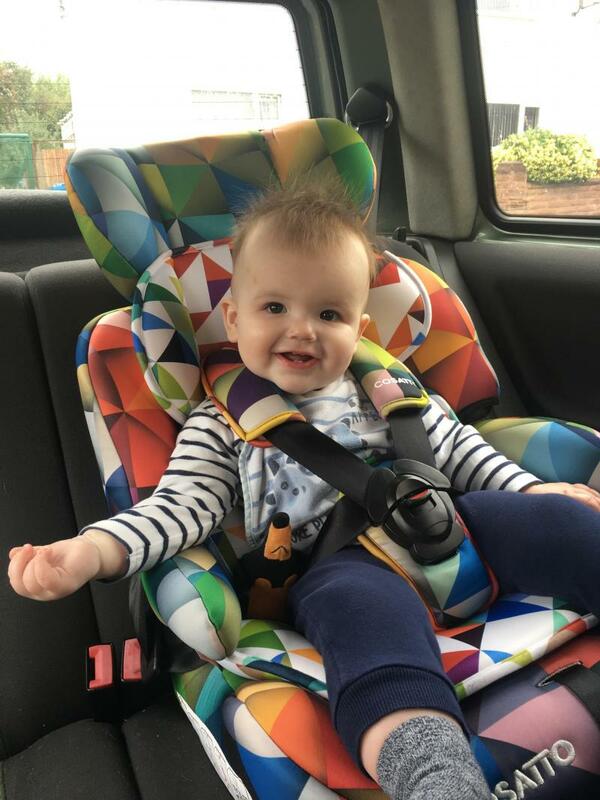 The issues I had were no isofix and the fabric parts were tricky to remove and wash.
My daughter was so happy when we brought this she now happily gets into the car without a fuss. I feel confident she is fully safe and secure and very comfortable. Very easy to use and install and all in all one of the best car seats we have had. We brought this for my son as he was turning 5 and we wanted a nice padded seat but with a harness as we know he woildnt do well with a seat bell he would just unbuckle so this was perfect. It's easy to install once you get the hang of it. Its extra padding makes it comfy it's got a good solid design my son loves it. Great value for a branded carseat. 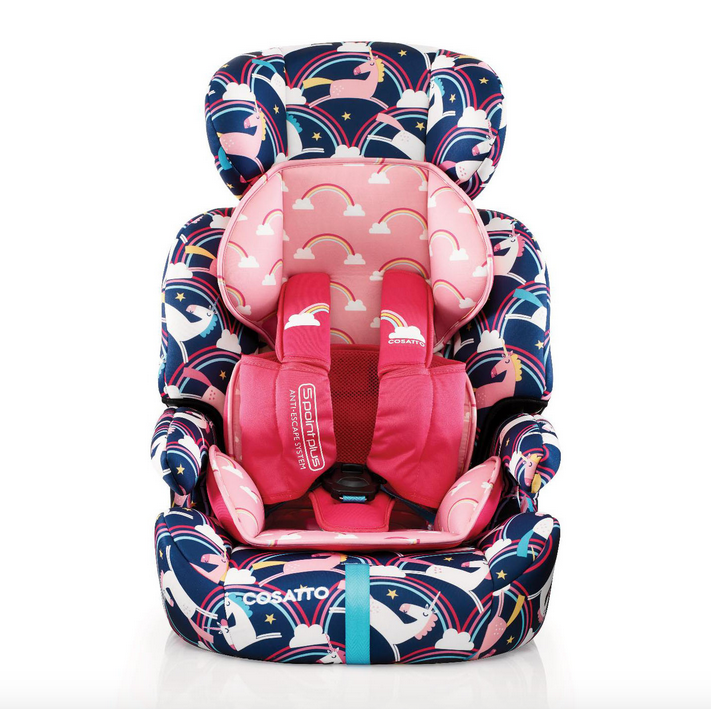 I purchased this car seat for my daughter for her first bug girl car seat and have never looked back. She is now out of the 5 point harness and still plenty room. When she gets big enough it converts into a booster seat. Really is an all in one. The only downside I've found is when occasionally when she naps her head tilts forward and looks really uncomfortable. Lovely car seat. I spent £120 on mine and regret not shopping around but otherwise its a lovely design and the anti escape wrap works stopping my munchkins from removing the shoulder straps. A small 3 year old and a big nearly 2year old.. they LOVE there seats always excited to hop on in and off we go .. my daughers loves the fun design of the Unicorn and my son loves the monsters! A good carseat to last the rest of there carseat years Deffently buying for my youngest once she wants one. Thanks costatto! Absolutely love this chair. We were searching for a good chair reasonably priced as we needed two and came across the Zoomi. Initially we thought it was over priced and just flashy in design, we came across an offer too goo to pass up whereby we got two for the full price on one and well we wouldn’t hesitate to pay full for one again. We were pleasantly surprised by the sheer quality and sturdiness of it also the designs are lovely and we get people commenting on the seats a lot. 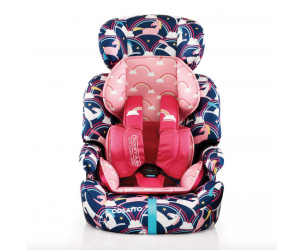 I love the design of my cosatto car seat, I have the shark one. My son loves it, it’s very comfortable, and I’m very reassured by the 5 point harness so I know he can’t escape! The back of the chest pads are gripped for extra security, as well as the padded 5 point harness. The head rest is adjustable and it’s easy to manoeuvre. The only two downsides are the fact there’s no reclining feature and to strap the car seat in, it’s a bit fiddly! 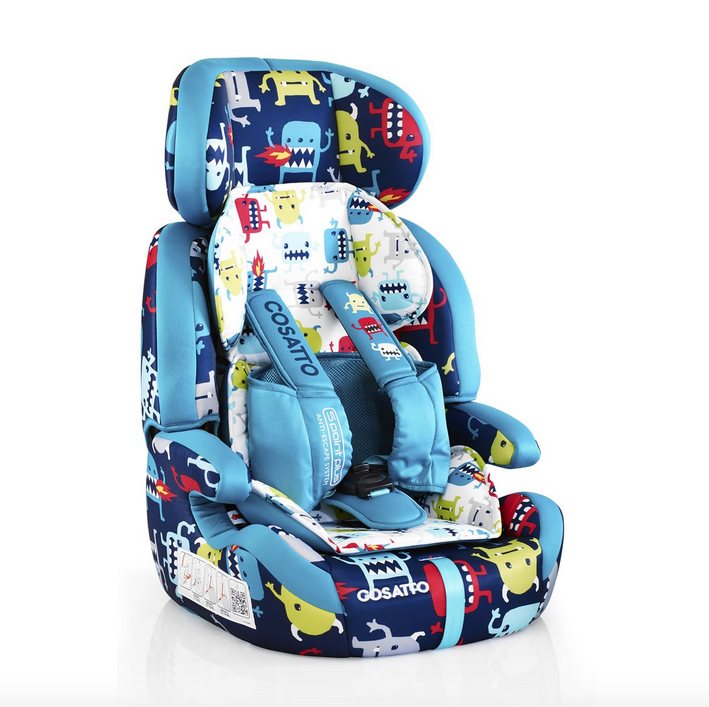 When my son falls asleep his car seat, his head tends to flop forward which Is a huge problem for us so it is definitely something to consider when buying. Also when installing the car seat in to the car, it’s quite difficult as there’s quite a few loop holes and it does take a while. 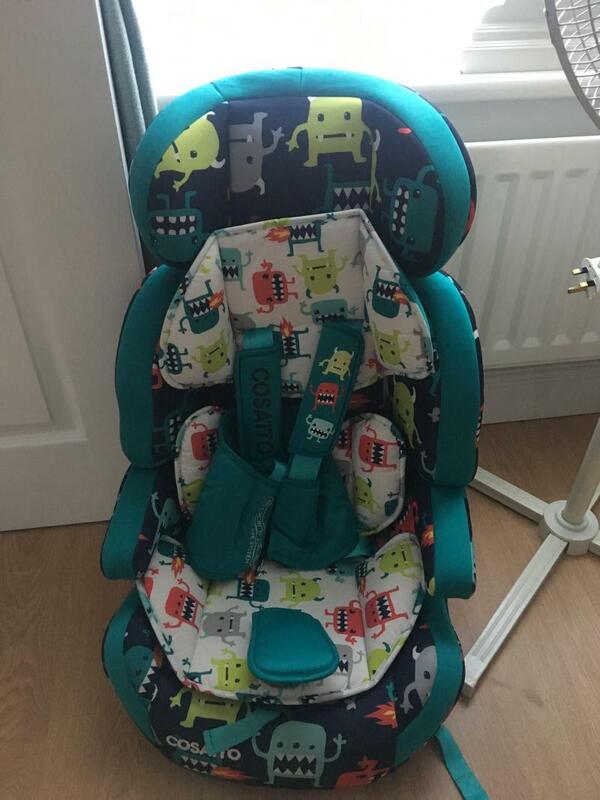 Other than the two disadvantages it is an amazing car seat and perfect for your child up to 12 years of age! The design of the car seat is beautiful, andi absolutely love that there is an anti-escape harness. My little one can sometimes easily get her arms out of the straps when wearing rainproof coats. All in all I love this car seat. It looks great, it's easy to install in the car, you can take the padding and cover off easily to wash as they do get dirty easily with toddlers. I really like that there is an anti-escape harness, it's gives me a little extra peace of mind. 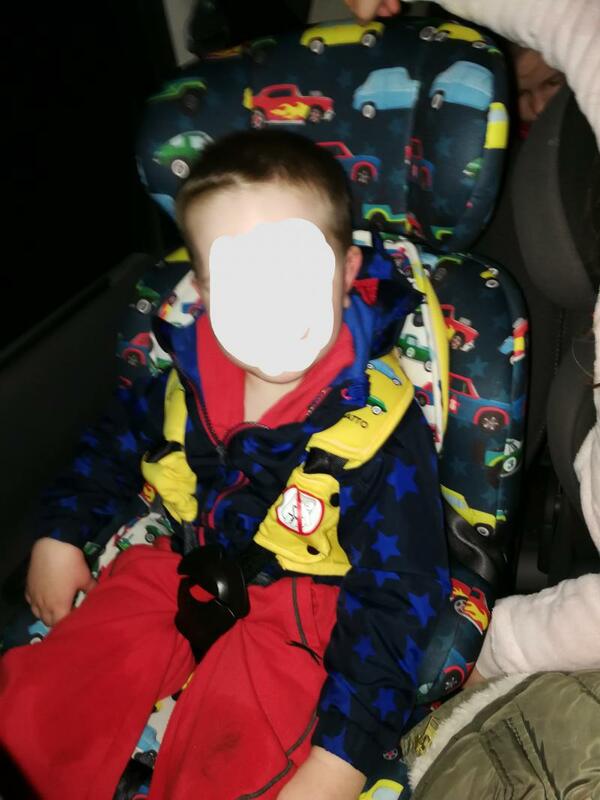 If your child has a waterproof coat on its quite easy to slide the arms out so I would Suggest making sure they don't wear a coat while in the seat. 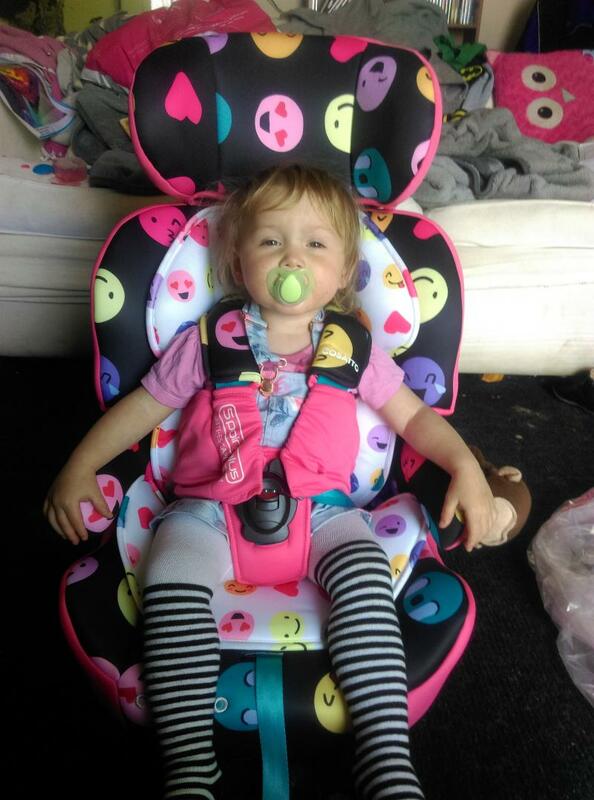 The car seat itself is very easy to install into the car and stays put once the buckle has been tightened. Its great that it will last us a very long time, and we won't have to be buying new car seats at every stage. I would definitely buy this car seat again or recommend it to someone looking for a stylish and easy seat. Love the cosatto range and so do the children the designs are always lovely and relevant. My eldest son has just gone into the Zoomi and he loves the eye catching design- we have the monsters one. The seat is roomy and comfortable and grows with them. The anti escape harness is a great feature as they cannot wriggle their arms out of the straps which is a massive bonus! I do find it quite difficult to install though which makes it difficult to move between cars. 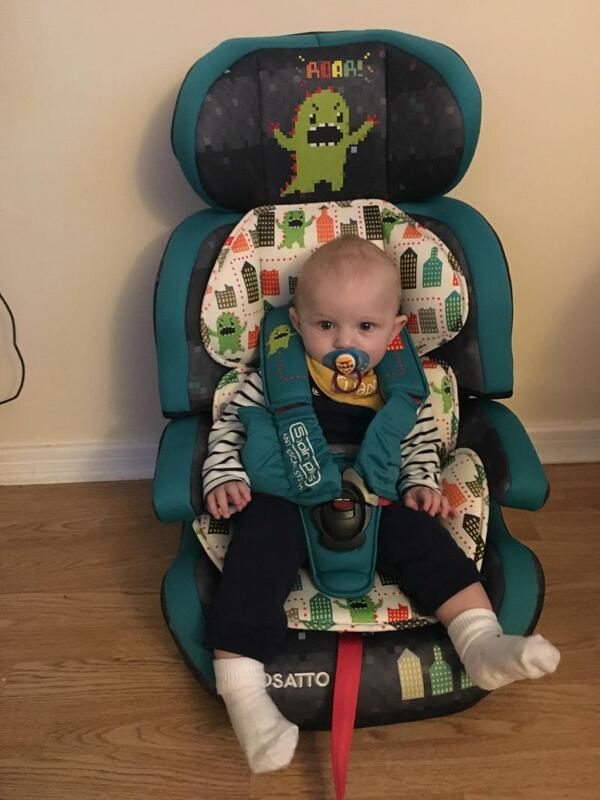 My little boy loves this car seat (he has the green dinosaur design). He sits very comfortably in it and I found it very easy to install. Great price for a great car seat. I love the pattern and design. It hides marks and muck but does come apart easily to wash. It washes well. When I take other children in my car they always want to sit in the exciting car seat! Not the plain boring red one that I have as an extra. The only downside is it is quite wide and the seat belt buckle is under the seat. The attractive pattern means my daughter is happy to sit in it without trying to escape. Lovely pattern means my daughter loves her car seat and doesn’t want to escape. She is 4 years old and it will last her until she is 11/12 and no longer requires one so for the money it is good value. It comes with inserts for younger children which are easily removed & washable (I have done this several times and they come out as good as new) I have also washed the whole cover and it comes out perfect. You can also remove the back to make it into a booster seat which will be useful further down the line. I have owned this & it has been used daily for about 3 years now and I can’t fault it. I shall be buying one for my son in a different design when he is old enough. Love this product beautiful design and lovely seat! Nice amount of padding and feels secure and safe! Also comes with an anti escape harness which is perfect as my kids seem to be hudinis. Cute designs, my son has the cuddle monster 2. He loves the design, it stands out and looks really cute. It seems well made and sturdy but the straps are a nightmare! They twist a lot and are hard to pull tight. A few times we’ve been unable to go out because the straps wouldn’t tighten. I was happy when we didn’t need them anymore. Seems like a better chair now we are using the normal car seatbelt. The Cosatto Zoomi car set is suitable from 9kg to 36kg (Group 1-2-3).